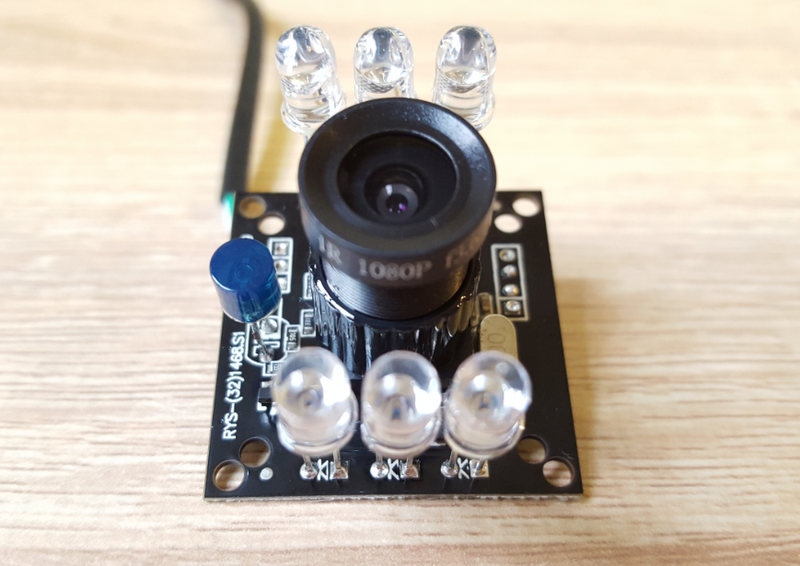 This is one of our hot selling day/night vision camera modules, it is HD 1280X720 resolution with Omnivision OV9712 CMOS image sensor, image quality is very good and stable. 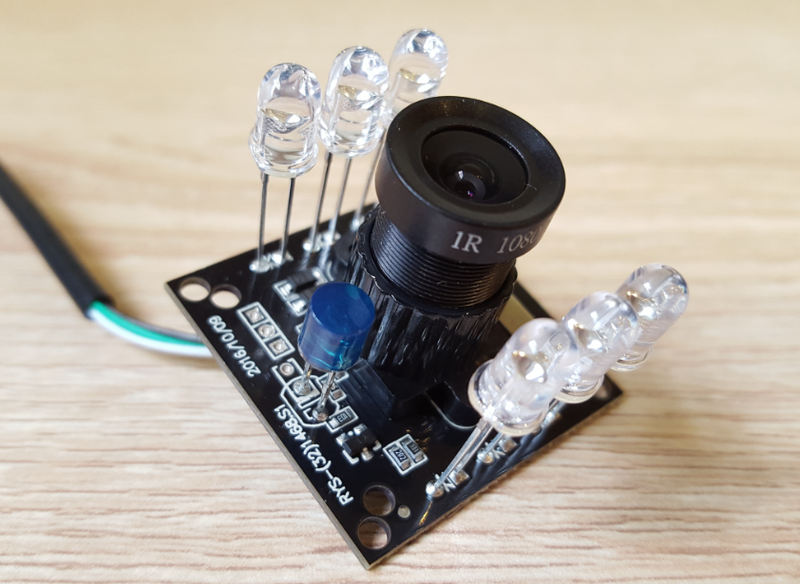 There are 6 built-in LED lights and 850nm IR CUT filter, so in dark conditions or at night, LEDs will trun on automatically and night vision is on. 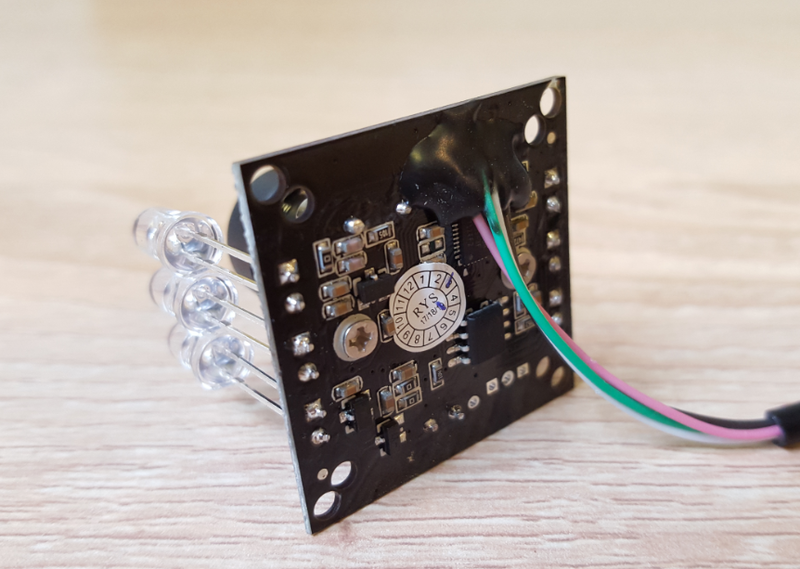 The current module size is 32MM*32MM, we have some other module sizes for you to choose, and also we can adjust module size & shape according to your requirement. 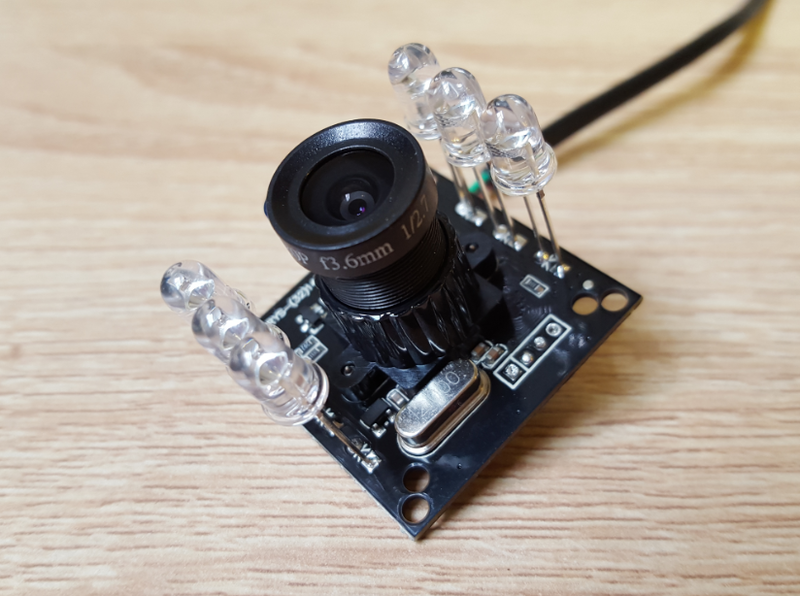 The current lens is standard 3.6mm focal length with non-distortion 90° view angle, we have all kinds of focal length and view angle for you to choose.